Full length brass cased .30 cal. M-1 Carbine blanks. This is our most popular .30 carbine blank. Military load is charged for ceremonial and reenactment use providing good - but not excessive sound and flash from the weapon. This is the recommended load for most users as it is does not cause excessive wear on the weapon. .140 -.145 internal BFA recommended. 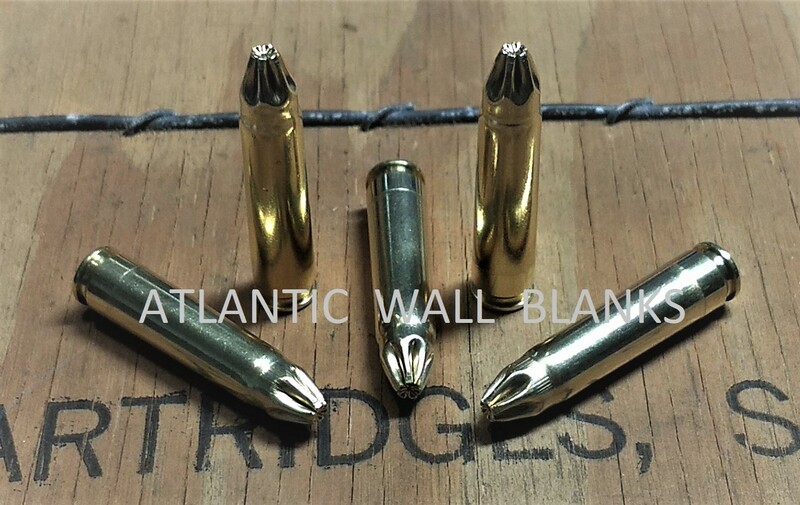 Crimped brass case with no wad.